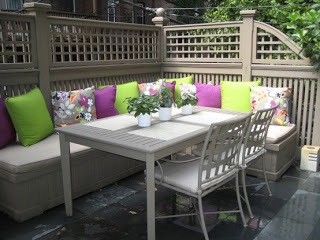 Alfresco dining in Boston is a lovely warm weather treat, akin to a nice walk to the neighborhood ice cream parlor or sipping a cold cocktail poolside on a hot day. Once the sun is shining and the hungry masses have taken to the streets, an entirely new dining experience awaits. We’ve put together a list of some of our favorite spots to eat, while savoring the sun and the street scene! 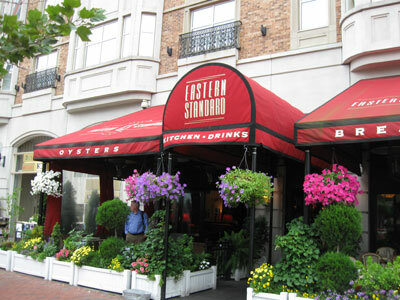 Eastern Standard in Kenmore Square offers up some of the best people-watching you’ll find anywhere, with shaded tables for the sunniest days, and overhead heat lamps for chillier summer nights. Situated on Commonwealth Avenue just a block from Fenway Park, this Back Bay favorite has a sizeable patio that fills up quickly. Their menu offers modern cuisine using classic French technique, paired with classic cocktails. Try the refreshing Nicoise salad with a Singapore Sling. C’est magnifique! Shopping on Newbury Street is at it’s best when the weather gets warm. 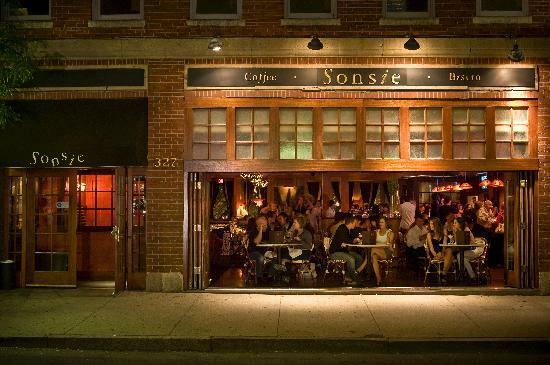 One of the most lively places to catch a snack and a drink on the infamous shopper’s paradise is Sonsie, at the upper end near Massachusetts Avenue. See and be seen during happy hour on a weekday, or take a break from shopping in their open-air dining room – they open the floor-to-ceiling facade windows for a fresh breeze through the restaurant. A lighter Italian-inspired menu refuels your shopping engines while observing the hustle and bustle of passersby. If it’s the simple endulgence of pizza and ice cream you crave, look no further than Picco, on the corner of Tremont and East Berkeley Streets in the South End. With plentiful patio seating under bright orange umbrellas, the “Pizza and Ice Cream Company” known as Picco is inviting for larger groups and sure to please with a treat for two. Just a few blocks from these popular eateries is our downtown Boston boutique hotel. Clarendon Square Inn has a beautiful outdoor patio for our guests to enjoy their morning coffee and greet the day, or perhaps wind down with a snack during a warm afternoon. Our roofdeck hot tub is a lovely spot to relax in the evenings, grab a bottle of wine and head upstairs for a bit of privacy and panoramic city views. Some of our favorite outdoor dining options are right in our backyard – literally! – and some are right around the corner. 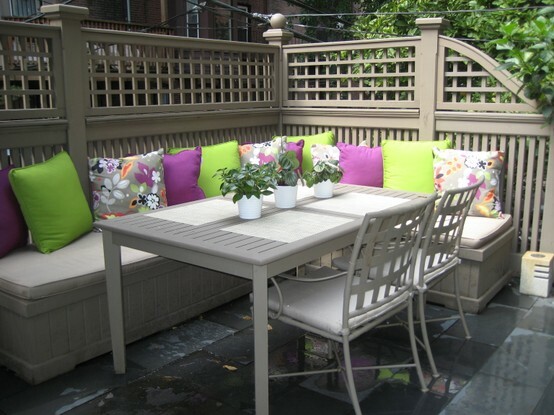 This entry was posted in Uncategorized and tagged alfresco dining boston, boston boutique hotel, Boston restaurants, clarendon square bed and breakfast, eastern standard, newbury street, outdoor dining, picco, sonsie by admin. Bookmark the permalink.